Windows 10's rapid release machinery and short-lived support schemes showed some strain in 2017, as Microsoft reduced the number of annual feature upgrades and felt enough pressure to extend the lifespan of a 2015 version well into next year. But the radical release-and-support strategy, which Microsoft asserts has transformed Windows into a service, has not resonated with every customer. Windows 10 upgrades come too frequently, leaving too little time for adequate compatibility testing of critical applications. Support is too fleeting, with each upgrade maintained for just 18 months, theoretically requiring seven migrations during the same timespan when previously only one was necessary. Microsoft can, and should, address the stress, industry analysts said in interviews and emails, by sanding off the sharpest edges of its policies. The result? A more palatable "service" that would retain the benefits of a commercial operating system able to respond to an evolving digital world. "I have always felt this whole cadence, I refuse to call it a service as the service only benefits Microsoft, made no sense," said Michael Cherry of Directions on Microsoft, a research firm dedicated to tracking the Redmond, Wash. company. "My gut [tells me] where this will end up: A once-a-year new version, or 'feature update,' [because] they are running out of compelling things to add." Currently, Microsoft plans to issue two feature upgrades annually, one in the spring, another in the fall (its target release windows of March and September have yet to be hit). That cadence, which was made official in April, was a formal downscaling of a more ambitious schedule that would have dropped a new version into customers' laps three times a year, or every four months. Another analyst, Michael Silver of Gartner, concurred. "Enterprises need to have a way to do one update a year. That would go a long way to resolve this," Silver said, referring to the issues enterprises have with the Windows-as-a-service (WaaS) model. "Microsoft is under pressure to make the upgrades easier and less disruptive. [But] I don't think that they've done that." Reducing the number of feature upgrades to one - from the original three to the current two - would be an easy way to curtail the disruption, but it would also compromise a major principle of the whole WaaS doctrine. Even so, annual upgrades of Windows 10 would triple the number that marked much of Microsoft's history, when it shipped new versions at three-year intervals. It's not impossible for enterprises to skip one of the every-six-month feature upgrades Microsoft now plans - doing in practice what Cherry and Silver said the company should formalise - but as Computerworld pointed out in April, IT staffs would have to hustle to replace an outgoing version of Windows 10 under the tight support constraints. The change in Microsoft's release terminology since April, and some slight movement in its recommendations for servicing Windows 10 during the interim, have not altered time (or space): Enterprises that have skipped an upgrade would still have only about two months to deploy the one after that before support expires. Figure 1 illustrates the tight timetable IT personnel would face under a single-upgrade-annually-with-18-months-support system. The timetable IT personnel would face under a single-upgrade-per-year cadence Â with 18 months of support. Because of the bonds between release tempo and support lifecycle, the analysts also called for Microsoft to increase the latter as it decreases the former. Cherry, Silver and Stephen Kleynhans, another Gartner analyst, all pushed a 33% increase in the support lifetime for each Windows 10 feature upgrade. "Based on the feedback I get from enterprise customers, I would still like to see the support window move from 18 months to 24 months, as that would enable customers a little more flexibility with their planning and deployment processes," Kleynhans said. The additional support would help even if Microsoft continued to issue two feature upgrades each year. The extra six months would give enterprises a 12-month overlap of support with N+2, where N is the current version. In turn, that would provide an eight-month window to migrate from N to N+2 - skipping the feature upgrade between those versions - from the time Microsoft declared N+2 suitable for broad deployment. Take next spring's feature upgrade, or version 1803, as an example. Under a 24-month support regime, customers running 1803 who wanted to skip 1809 - the September 2018 upgrade - would have eight months, or to March 2020, to get all devices onto 1903 after Microsoft designated the latter as deployment-ready in August 2019. Figure 2 shows how that would work. A 24-month lifecycle would require the company to support four versions simultaneously. "Enterprises do need more runway," said Silver, speaking of the time necessary to upgrade hundreds, thousands, even tens of thousands, of devices from one Windows 10 version to another. Silver would then turn what might be construed as a retreat for Microsoft into a bauble it could dangle in front of Windows 10 Enterprise customers. "They're already paying more for the privilege of running Enterprise," Silver said of the highest-priced version of the OS. "Make the [expanded support] a benefit." Cherry also urged Microsoft to add time to the support lifecycle. "A new version once a year. That's it," Cherry said. "New features that require significant testing, training, whatever, come annually. Each version supported for 24 months. That might actually be a service to both Microsoft and customers." Dropping down to one annual upgrade, with each supported for two years, would mean customers would not be able to skip an upgrade. But the timeline of each release and support expiration would be identical to what was spelled out in Figure 2. The only difference? There would be no Windows 10 1809. Some recent moves by Microsoft provide tantalizing clues about the chances of changes to Windows 10's support schedule, if not its release rhythm. Last week, the company extended support for Windows 10 1511, the upgrade launched in November 2015, by six months, to April 2018. The additional support applied only to customers running Windows 10 Enterprise or Windows 10 Education. A Microsoft marketing director explained that the "supplemental serving package" was granted "to help some early enterprise adopters that are still finishing their transition to Windows as a service." 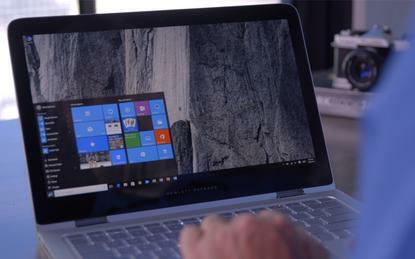 The extension was the second straight for Windows 10. In February, Microsoft added about six weeks to Windows 10 1507, the initial version that launched in July 2015. Cherry said that, by his calculations, Microsoft had supported 1507 for approximately 21 months, and would end up maintaining 1511 for 29 months, at least for Windows 10 Enterprise and Education users. But even as adding six months to 1511 solved one problem, it created another. "It makes no sense to just extend 1511," Cherry said. "Nothing was said of 1607. Now, support for it expires prior to support for 1511. Expect this to change unless they anticipate customers on 1511 to skip 1607 and move to 1703 or 1709 in one step. Not even sure if that is possible or sensible." Kleynhans echoed Cherry's bet about 1607. "I don't think we have seen the last of these types of extensions," Kleynhans said of the six-month addition to 1511. "At the moment 1607 is scheduled to EOL [end-of-life] in March and that could be an even bigger exposure. I suspect we will see some variation on this extension when we get a little closer." Adding more time to support would also add more work for Microsoft: Rather than the three versions supported at any one time - N, N+1 and N+2 - a 24-month lifecycle would require the company to support four versions simultaneously. Figure 3 shows how, starting with 1803, Microsoft would also support 1809, 1903 and 1909 under a longer support regimen. One way to reduce that support workload, of course, would be to take the analysts' advice and adopt an annual Windows 10 release pace. By rolling out one upgrade each year, and supporting each for 24 months, Microsoft would have to maintain just two versions at the same time, N and N+1. As N+2 appeared, N would have just been retired the month before. There have been no inklings that Microsoft may make a shift like that. But then, the company has sprung more than a few Windows 10 surprises on customers, like when it crippled the Long-term Servicing Branch's (LTSB) usefulness. But the analysts would not be surprised by more changes to the release and maintenance models. "Microsoft is still tinkering with the details of the servicing model to make it work for more enterprises," Kleynhans said.